With catching Chub began my spinning journey. It was the fish and the purpose of the vast majority of fishermen. Last year I joined a local Federation and try their hand at sports path. 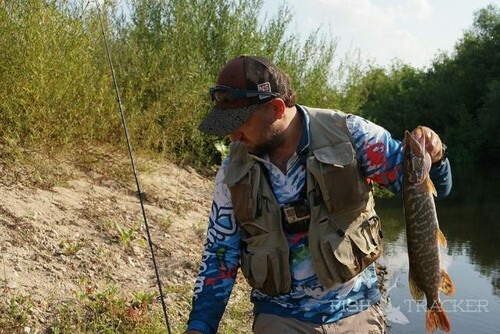 Training and competitions take almost all my free time, making fishing favorite fish was pushed into the background. I hope not for long… anyway last year I was still out hunting for the excellent blacktip handsome and almost all of my fishing was going with this spinning. This Black Hole Classic S-210 test 2-7 grams and a length of 2.1 m.
The spinning came to me together with test by mormyshem Rimer-om last summer. First impression after receiving it was pretty skeptical. Dressed in old-fashioned design spinning not stirred the desire to drop everything and fly to the water with the aim obrabeci. However, this has already had and I knew that the first opinion may be wrong. In General and so it proved. 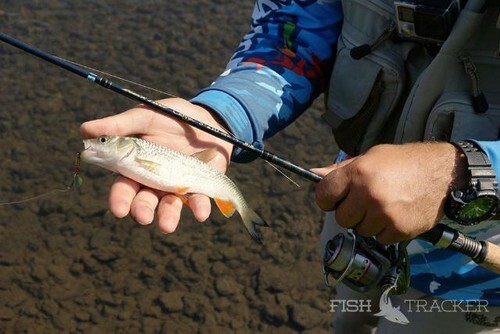 Of course, this spinning was assigned the role under bow fishing for Chub. 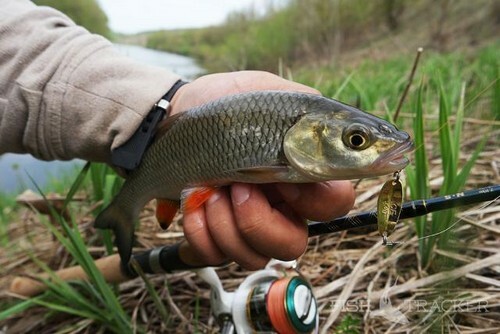 This corresponded to a moderately fast system, within the type of medium and small rivers, Chub growth (2.1 m) and the optimal test for fishing ul-bait. 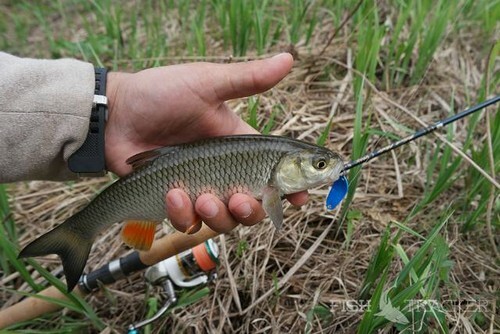 Baptism has successfully passed in the spring, in April, when we opened the season with a Chub friend. White wolves were not particularly active, but the heels of the lobes on brother we are all caught. 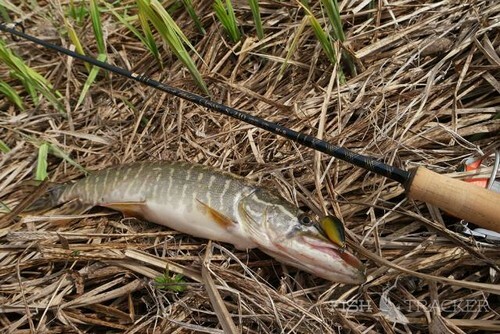 Also check “Personnel” on pickiness to easy and not very poristym baits. In that day the weight applied kalabalak kept within the range of from 2.5 to 3.5 g. And I will say that the 2.5 g. this spinning is an acceptable bottom, and 3 gr. it’s already comfortable in terms of sensitivity and casting work. Vibrations are transmitted slip, felt different Sedivy, touching, and throw a predictable precise and decent. Despite the fact that the lures I’ve caught a classic relatively little, but the feeling of understanding about what kredkami he can handle it, there is, quite clearly. I have helped the parallel which I spent between Classic and Ivyline Hard Stream Phalanx Twin F6,06 (forgive my Japanese). Something in them is similar in type system, poristosti Blanca, and apparently including. In General, a reasonable upper “ceiling” of application for “Classic” depends on the drag handsome Incubator Drop, Cherry 0 Footer already more or less well, and “what the doctor ordered” this cabby. With less paristemi sedokami and minakami grams of 3 are also doing well. Here I want to note that the work Verte “classic” provides with the smallest sizes. Available “nulevka” weighing 1.6 oz. quite clearly worked and start. It is clear that the casting distance here the question. On top of comfortable room and the weight of the turntables seemed to me No. 3 c 7 g weight (in this case we are talking about Bretton Original). With this size blank did not fail and was not annoyed by itching in the arm. 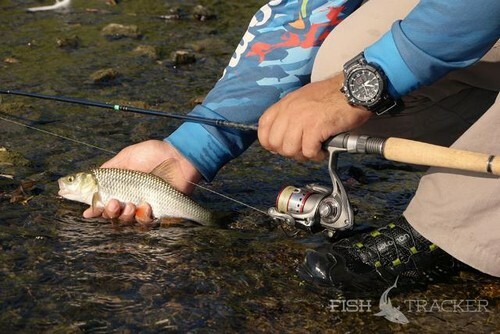 During the experiment with a turntable was also able to check Classic for any big fish. On one of the transactions down the pike in the area of pounds which I did without problems, even without steel leash. I think that some sharespeare in the area poltorashki spinning also does not fail. The exterior of the spinning, in principle, could already be evaluated in the photo. Not posted cork handle, reel seat and Fuji rings. Design, as already noted, old-fashioned, but then, as they say, on taste and color… Importantly, to the duties of their job. 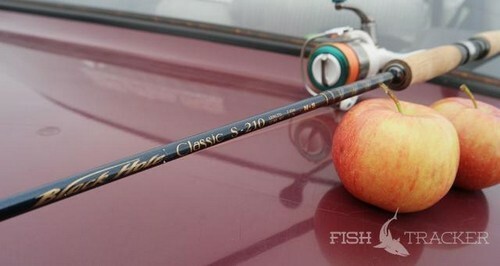 And as for me, Black Hole Classic S-210 with the assigned me to it by hopes quite manage. 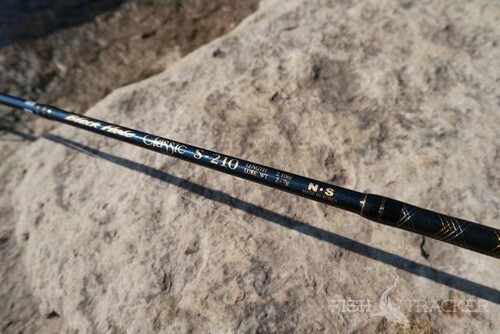 And considering that he appeared not yesterday, and still continues to meet the requirements of the spinning rods in this price range, you can call it like a veteran, which is still standing, and likely has no plans to leave the line.